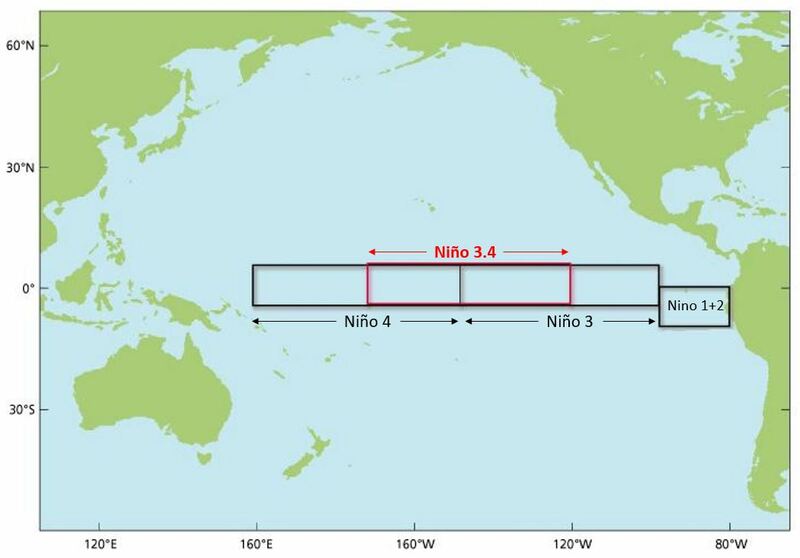 The Oceanic Niño Index (ONI) has become the de-facto standard that NOAA uses for identifying El Niño (warm) and La Niña (cool) events in the tropical Pacific. It is the running 3-month mean SST anomaly for the Niño 3.4 region (i.e., 5oN-5oS, 120o-170oW). Events are defined as 5 consecutive overlapping 3-month periods at or above the +0.5o anomaly for warm (El Niño) events and at or below the -0.5 anomaly for cold (La Niña) events. The threshold is further broken down into Weak (with a 0.5 to 0.9 SST anomaly), Moderate (1.0 to 1.4), Strong (1.5 to 1.9) and Very Strong (≥ 2.0) events. For the purpose of this report for an event to be categorized as weak, moderate, strong or very strong it must have equaled or exceeded the threshold for at least 3 consecutive overlapping 3-month periods. 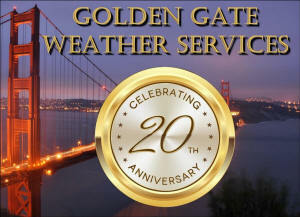 Copyright © 2019, Golden Gate Weather Services.